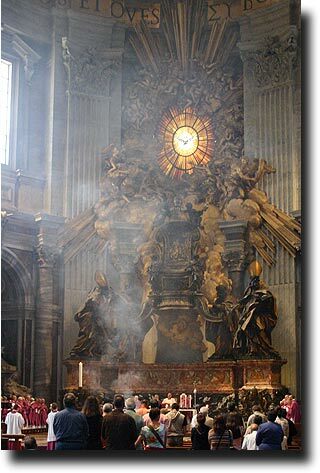 I'm sure my first words were probably some kind of blasphemy, but I couldn't believe it when I saw there was a mass going on in the cathedral. 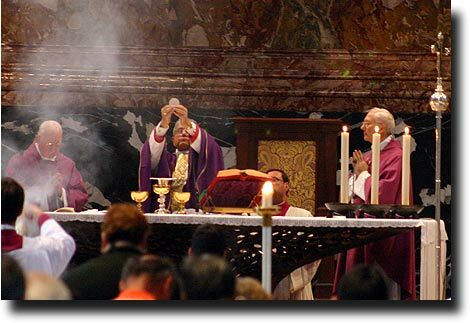 I mean, I know it is a Catholic church, and I know they have masses, but I just never considered that there would be one taking place while I was there. Some of the people visiting obviously felt the same way - I saw quite a number of people crying (I'm assuming out of the joy of being there). 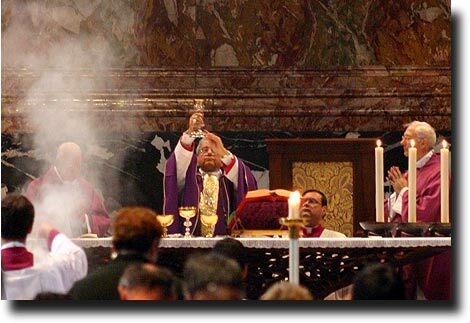 Now one of the interesting things was that they were using incense, which I had always associated with the Orthodox churches. But you can see it billowing out there pretty clearly. I was also surprised by the colors. 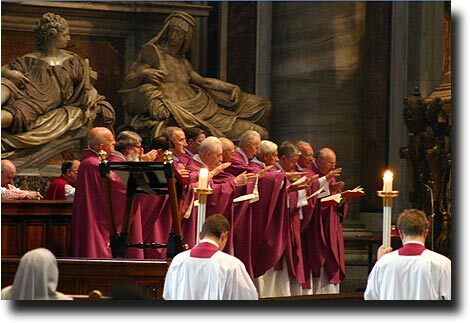 I know that at different times of year, the priests wear different colors (like green and such), but I'd never seen pink before. 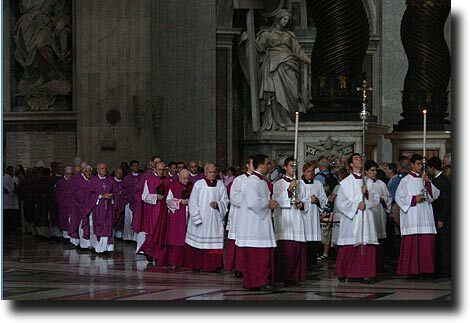 Because ALL of the guys were wearing the same, my thinking is that it might be a sign of their rank in the church rather than a seasonal liturgical color. After the service was over, officials roped off a walking area so the clergy could exit gracefully. It was a huge procession of men and boys all dressed, well dressed as you can see above. 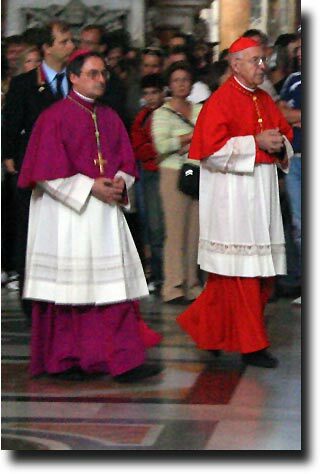 There was one of them in red, which I assume means that he is a cardinal and extra holy.